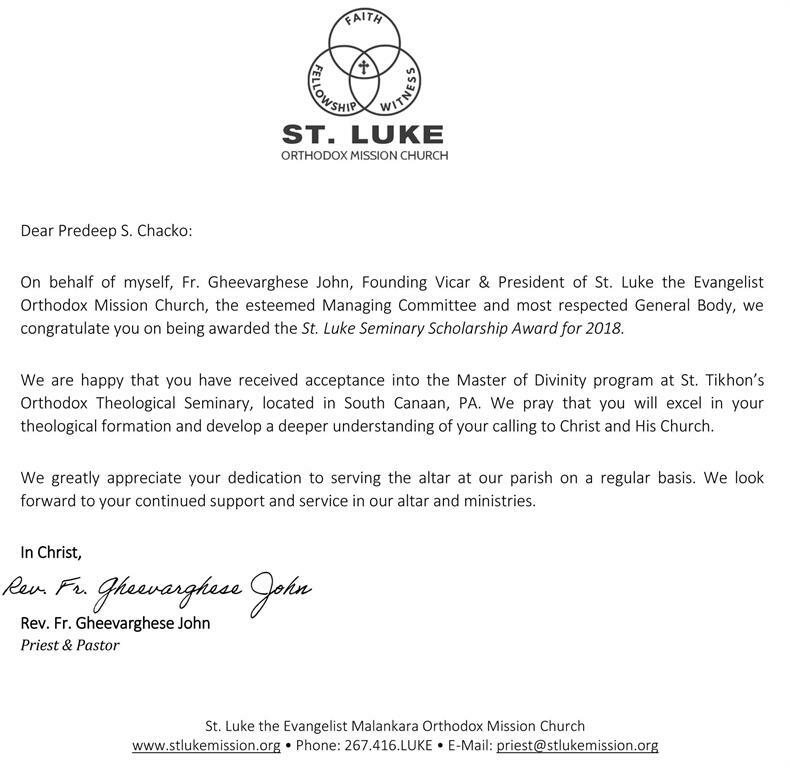 St. Luke The Evangelist Orthodox Mission Church - Our Lady of Fatima Church 2913 Street Road Bensalem, PA 19020 announced the recipient of their 2018 St. Luke Seminarian Scholarship as Mr. Predeep Chacko. Mr. Chacko is enrolled to attend St. Tikhon’s Orthodox Theological Seminary this fall. The Seminarian Scholarship program seeks to provide financial assistance to Seminarians seeking formal Orthodox theological education. St. Luke Orthodox Mission Church believes supporting today's vibrant and dedicated religious scholars will ensure strong faith-based communities tomorrow.